Something Huge, "Stealthy", Being Announced Next Month? Something Huge, “Stealthy”, Being Announced Next Month? Something “significant” is being revealed in next month’s issue of Official PlayStation Magazine, according to a teaser in this month’s issue. But what is it? 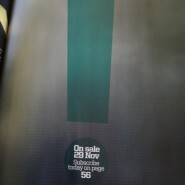 The magazine tells you to two things: “Turn to p.81 for a stealthy hint, and be very, very excited.” Turning to page 81 reveals the on-sale date of the issue inside of a giant exclamation point! In my mind, and in the minds of most PlayStation 3 owners, an exclamation point could only mean one thing: Metal Gear Solid. That’s really all we know until whatever it is, is revealed next month. Don’t get too excited, though, we haven’t heard anything about Metal Gear Solid: Rising in a very long time, so it could just be some new information on that, or possibly even the Metal Gear Solid HD Collection. Another thing to note is that it doesn’t explicitly say PS3, so there’s a chance this is a PlayStation Vita title – it could be anything at this point. We’ll be sure to update as soon as we hear anything else.